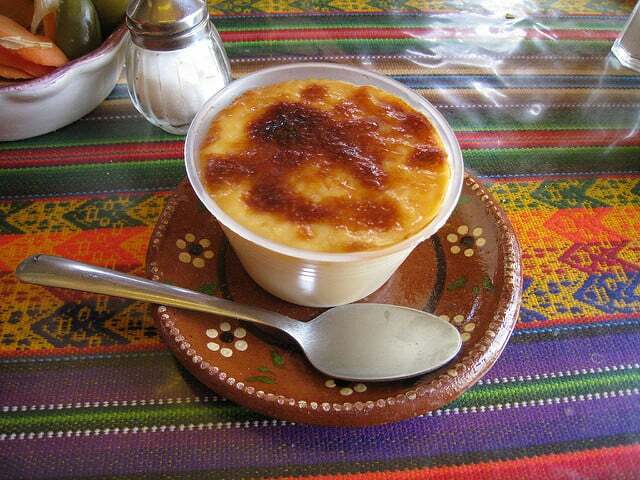 Jericallas are a typical Mexican dessert, characteristic of the city of Guadalajara and the rest of the province of Jalisco. 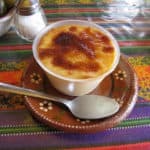 Let's say that the "jericallas", or "jericayas", are a mixture between the flany recipe the creme brulee recipe. At the same time, they have an absolutely Mexican touch, and anyone who says otherwise will end up having problems with some people from Guadalajara. In fact, it is a way to prepare the roasted milk. The most common is that the jericallas are cooked in small individual or small aluminum containers clay cacerolitas. However, you can prepare this dessert in any type of individual container that resists cooking in the oven, such as small refractories made of glass, ceramic or even silicone suitable for high temperatures. Cooking recipe to prepare, step by step, some jalicals in the style of Jalisco.In this liquid, we will also heat the cinnamon and the vanilla extract. To continue , add the cup of sugar, stir everything and let the mixture boil. Once the milk has started to boil, we will remove it from the fire and let it stand at the time (or at room temperature), to cool down a bit. While this is happening, we will pour the contents of the eggs into a container and beat them. Then, add a few tablespoons of warm milk to this mixture. We will do it without stopping to mix, and we will incorporate them one by one. The idea is the mixture is integrated very well, without risk of the eggs being cooked as a result of the remaining heat. With 7 or 8 tablespoons of milk will be enough. When we have obtained a mixture uniform, we will incorporate it to the rest of the pot with milk. We will do this by beating vigorously until all the ingredients are fully integrated. The following will be distribute the preparation in individual molds. At this point, we will remove cinnamon sticks or branches. To put these molds Baked, first we will prepare a large container with water, and then we will swim our little jars in a bain-marie. Then, the complete container will go to the preheated oven. The cooking time may vary depending on the power of each oven. In principle, we talk about 45 minutes, but the most important thing is to get our goal: that the jericallas are curdled. If after this time, they still lack cooking, then, they will have to be left a little longer. Optionally, if you want to brown the surface of the jericallas, raise the oven rack to the highest possible level and let them cook there for around 10 more minutes, increasing the temperature to 200 degrees. If you want less caloric and lighter jericallas, you can reduce the number of eggs and use six instead of eight. Some people even reduce the amount to five, but I prefer to obtain a more consistent dessert. To take advantage of the fact that in Mexico we are in the land of vanilla, if you get a vanilla pod, you can open it and use the grains to boil with milk, instead of using essence or vanilla extract. Some people skip the step of mixing the eggs with a few tablespoons of milk and add them directly to the pot with a full liter . Keep in mind that doing this is risky, because if you do not beat the mixture with enough force and speed, the eggs can be cooked before integrating well with the liquid. Obtaining a good result by doing this is possible, although not so easy, so it is not as recommended, especially for beginners with this recipe or the debutantes in kitchen. There are also those who use a technique called "inverted water bath" to cool the milk after boiling it with cinnamon, sugar and vanilla. This means that, instead of placing the container with the milk in the middle of a pot with hot water (as would be done with the traditional water bath), it is placed in the middle of cold water.This is not part of the traditional recipe, but it is delicious. When filling the flats or containers for each jelly, do not put liquid to the edge. If your oven is low power, you can heat it to 200 degrees instead of 180.